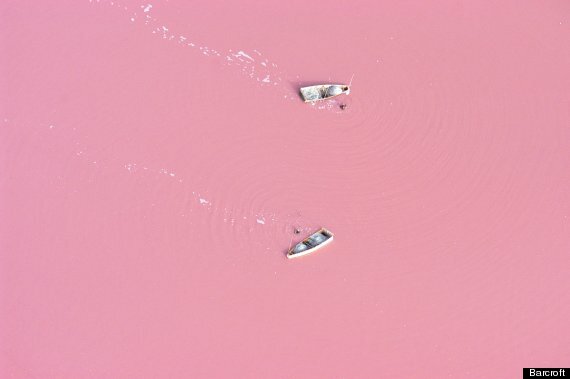 Lake Retba in Senegal is a milky pink colour. I’ve always wondered what English sounds like to foreigners. Here is the best example I have seen so far! Want to live to 100? Australian journalist Sarah Wilson explains that one common factor between the world Blue Zones (the places where people live the longest in the world) is that they eat pork and don’t eat (much) sugar, like in Ikaria in Greece. Is the sky really blue? Studies of languages from around the world have shown that as names for colours have developed in languages, blue is always the last due to its rarity in nature. Is our belief that the sky is blue influenced by our culture, rather than reality? An interesting article (English, German) about the need for a revised, more open immigration policy in Europe. With an ageing population, migrants will be needed more and more in the future to fill gaps in the workforce. Is Europe’s biggest problem the potential collapse of the monetary union, or a looming generational crisis? Bike friendly Denmark has created the worlds first bike superhighway, allowing more people to commute to and from Copenhagen every day. I love Scandinavia and the Netherlands attitudes to bike riding! This is a fabulous online shop for globally minded parents and those with children who have lived in multiple cultures (Third Culture Kids). One of my favourite are these number cards for the wall that come in a variety of languages, and the My Roots collection, where you can pin all the places your child has roots in around the world. Green card Stories is a fascinating book that explores the stories of fifty immigrants and refugees to the US who recently received citizenship or permanent residency. The book aims to dispel negative preconceptions about immigrants, and instead to show a human side not often depicted in the media. The most gorgeous food blog I have found in a long time – stunning pictures, and even better, the recipes are all gluten and sugar free!